LTE Medical specialises in the areas of decontamination for healthcare central sterilization and endoscopy departments. Product ranges include porous load sterilizers, washer-disinfectors and endoscope decontamination sinks and drying/storage cabinets. For the central sterilization department, LTE Medical Equipment manufactures a wide range of high performance porous load steam sterilizers in sizes from 150 to over 1,000- litres. Our Touchclave Systems autoclaves can be configured as single entry or pass-through and be specified to work off plant steam or via integral/stand-alone steam generators. A number of clean steam options are also available. For smaller CSSD’s, our Touchclave-PL range offers the same performance as the larger Touchclave Systems units, but are designed to be compact, taking up minimal floor space. They are available in capacities from 150 to 450-litres. We are the exclusive UK distributor for the entire range of washer-disinfectors from Danish manufacturer, KEN Hygiene. Their IQ range of products can accommodate up to 18 DIN, and are designed to take up minimal floor space. KEN washer disinfectors offers unparalleled levels of economy in use with reduced water, energy and detergent consumption. In addition, LTE also works in the UK with Remeda, a Swedish based company specialising in the design and manufacture of loading systems for autoclaves and washer disinfectors. Remeda systems can be manual, semi-automatic or fully automatic in operation. Increased legislation surrounding manual handling makes the Remeda system ideal for fitting onto LTE and other brands. For the dental, surgical and veterinary markets, we supply a range of B, S and N Class Mediclave sterilizers in sizes from 6 to 23-litres. Our Touchclave-R-PL ranges with sizes from 60 to 160-litres are ideal to serve the needs of the larger veterinary practice, where either a benchtop sterilizer is too small or where larger instruments need to be accommodated. Our products for the Endoscopy department are centered around endoscope decontamination and drying/storage following. Our rise/fall decontamination sinks are manufactured from stainless steel and used for the first stage of endoscope decontamination. Following reprocessing, endoscopes can be placed in one of our Scope-Store endoscope cabinets, where they will be dried and stored in accordance to the requirements of EN16442. Our Scope-Store IQ+ range has been validated for storing endoscopes for up to 30 days by Biotech Germande, one of Europe’s leading test houses in the field of endoscopy. 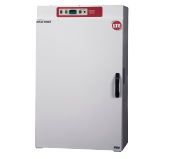 We also offer endoscope cabinets for the storage of ENT scopes. All LTE products can be serviced, maintained and validated by LTE Service Centre, or by one of LTE’s network or overseas distributors.